An open plan is a term used to describe a floor plan that utilizes large, open spaces with no enclosure of any kind. The layout has no walls that separate one room to the other. An open plan microapartment offers more space and options for interior design. Because there are no walls, the space looks and feels large, airy. You get to play with different styles to create a functional and stylish home. Of course, the open concept has its own challenges too. For one thing, it’s hard to organize your space and keep clutter at bay because nothing is hidden from plain sight. If say, your open plan microapartment measures just a couple hundred feet or less, you have to be smart in terms of choosing the right furnishings to decorate the home. The wrong pieces could easily make a space feel smaller or cramped. That’s why it pays to know what pieces of furniture work for an open floor plan microapartment. We’re huge fans of transformation furniture because they provide storage spaces in a small home. 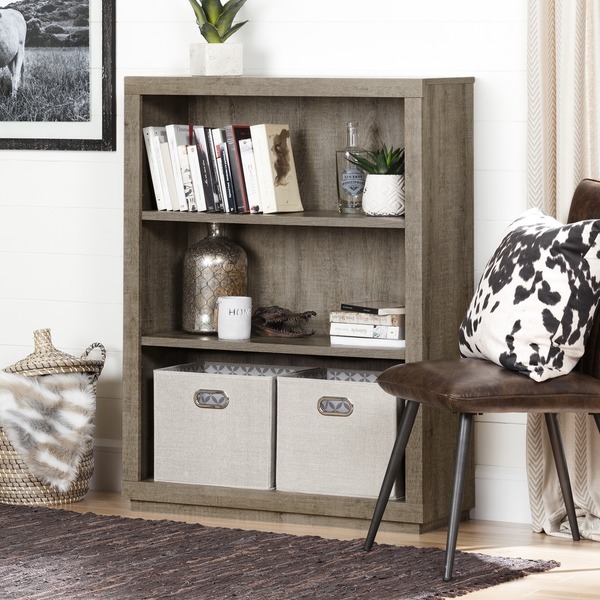 Certain coffee tables, storage benches, ottomans, and sofas come with extra storage to keep your space tidy and neat. 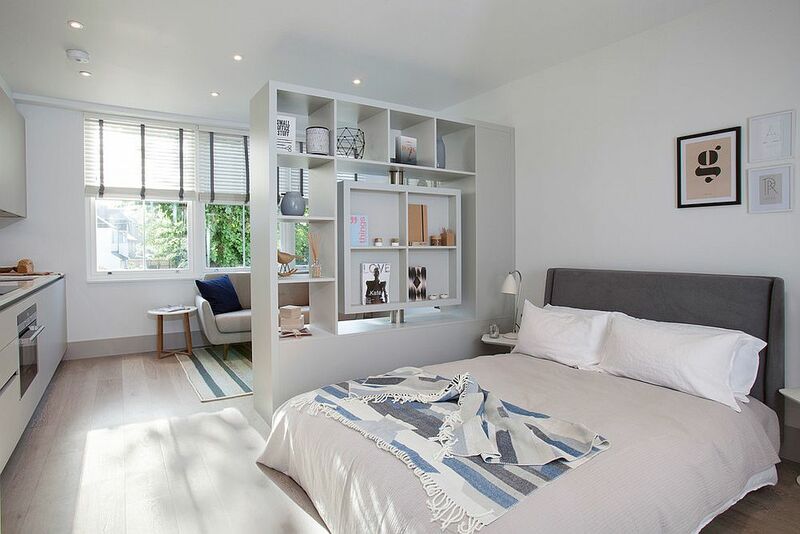 These pieces of furniture are usually compact and sleek, making them ideal for an open plan microapartment. West Elm has a lovely range of transformation furniture, including bed frames and benches with hidden storage. 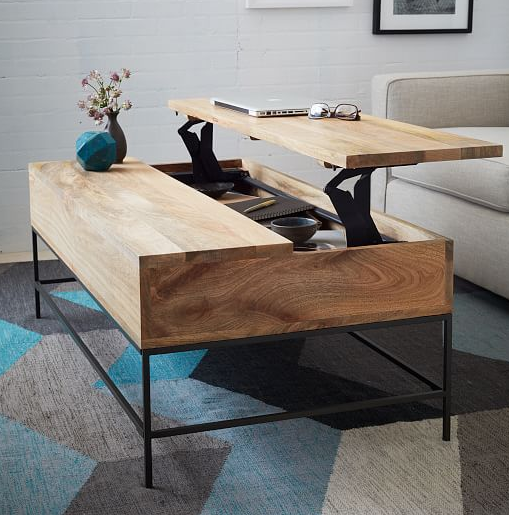 If you’re in the market for a coffee table, the Industrial storage coffee table is a beautiful, grained solid wood coffee table with a concealed storage space. Just pop the top to reveal the interior storage. An entryway can make a modest open layout apartment feel positively gigantic! Thankfully, building a functional space to welcome or see off guests and loved ones isn’t as complicated as it sounds. You can use a bookcase and a stool to create a simple mudroom. The bookcase will serve as the space organizer while the stool works as a seating area where guests could remove or wear their shoes with ease. You could also get a pretty entryway organizer to simplify the process of building a mudroom in a small space. 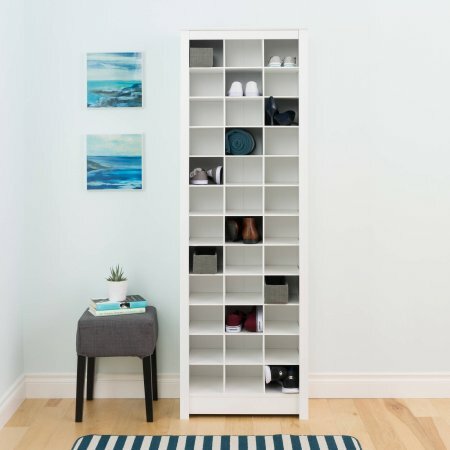 Overstock’s Winslow White Entryway Organizer is a great example. The organizer comes with bag hooks, shoe organizer, and a tiny shelf for knickknacks. However, if you don’t have space for a bench or a bookcase, try installing wall mount hooks or open shelves instead. 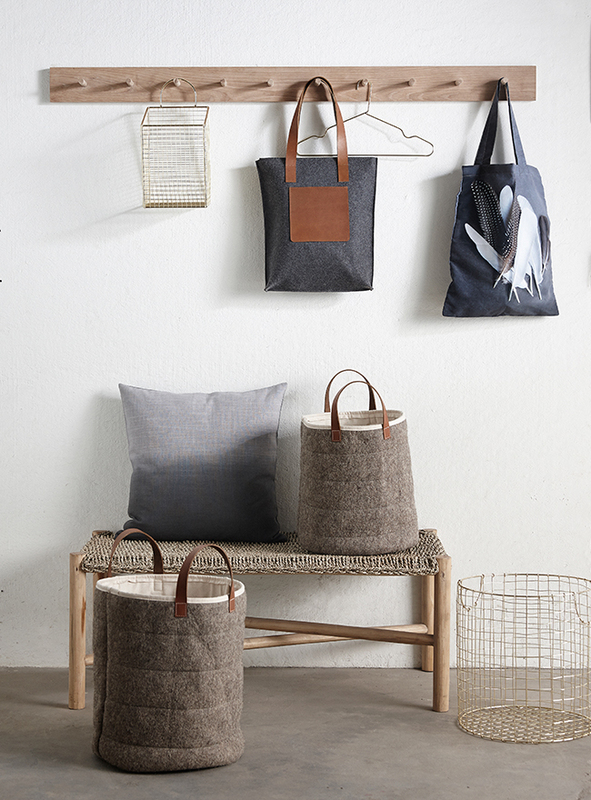 This way, guests have a space to hang their bag or coat as soon as they arrive. You could also place decorative bins to sort dirty shoes! 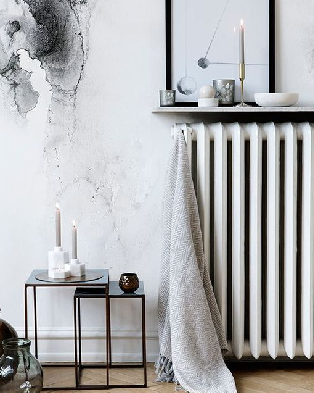 Every square inch of space counts when you’re maximizing a small space. A standard-sized wardrobe may not suit a microapartment because it’s so dang bulky. For closet-less bedrooms or too-tiny cabinets, here’s a great sub for a closet: A clothing rack! A clothing rack is such a compact, functional space organizer. You can hang your clothes, tidy up your bag collection or sort out your shoes, all in one place. You can also customize a standard clothing rack to increase the storage space. This skinny clothing rack by Urban Outfitters is the perfect closet sub for the inner minimalist. If you’d like to create separation between rooms while squeezing every square inch of space at the same time, square dividers should come in handy. The fact is, you don’t need walls to create a distinction between rooms. Compact dividers work as physical barriers that define spaces in the home. Choose compact room dividers with built-in shelves to free up more space in a small home sans the bulk. IKEA’s Kallax shelf unit is a stackable, mountable room divider that works perfectly for an open layout microapartment. This square storage is so versatile; it displays your knickknacks and adds definition to a space without overwhelming the home. 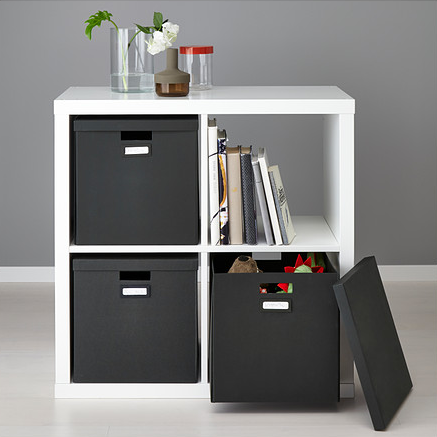 Kallax’s sleek design, compact size, and white paint job complement contemporary and classic interiors alike. We love floating shelves for a variety of reasons. They’re so sleek, dinky, and versatile. Got no bedside table? Install a floating shelf. Kitchen too cramped? Install a floating shelf. No room in the bedroom for your essentials? Why, there’s a floating shelf for that! As far as utilizing floating shelves goes, you are only limited by your imagination. Floating shelves are so visually light, they don’t overwhelm a space. So go ahead and install a couple (or ten) and make the most out of what little space you got! The beauty of tall ceilings is that you can invest on tall storage pieces to complement an open layout microapartment. 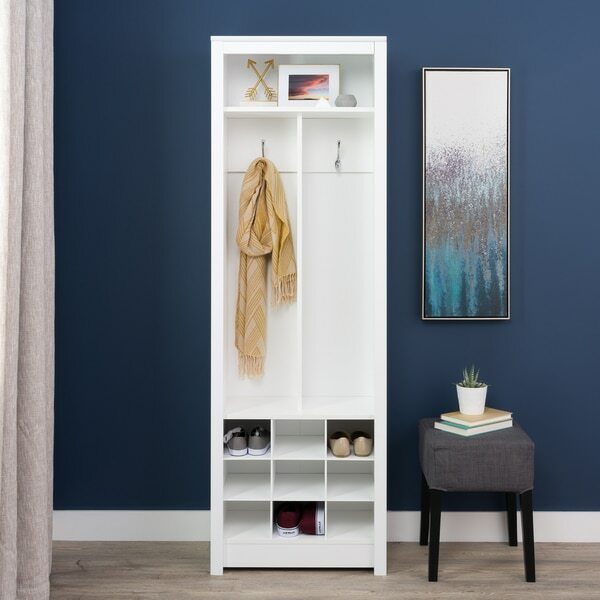 Tall and skinny wardrobe storage units offer lots of room to organize your space without making your home look or feel small. You can get the backless kind or the closed kind, whatever works for you, and the effect is the same! Walmart has an impressive selection of skinny freestanding cabinets, including the multi-purpose storage unit number above. Is your microapartment a little too cramped for some company? Never send your guests packing again by investing on a sleeper sofa. 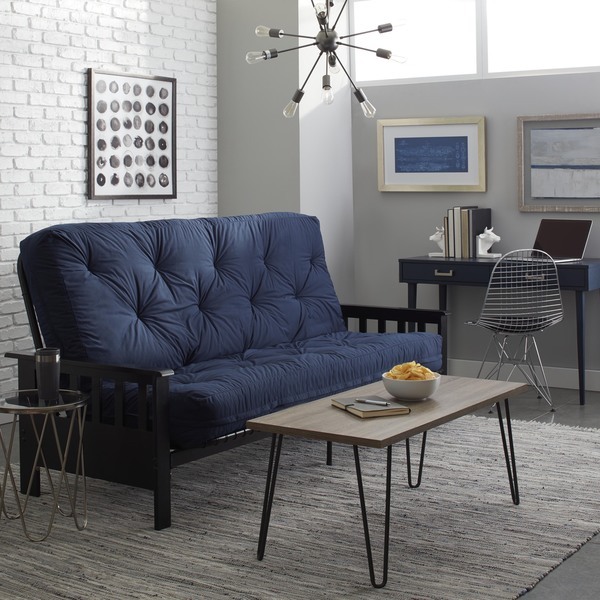 A sleeper sofa is a multipurpose piece of furniture that works as a seating solution by day and a bed at night. 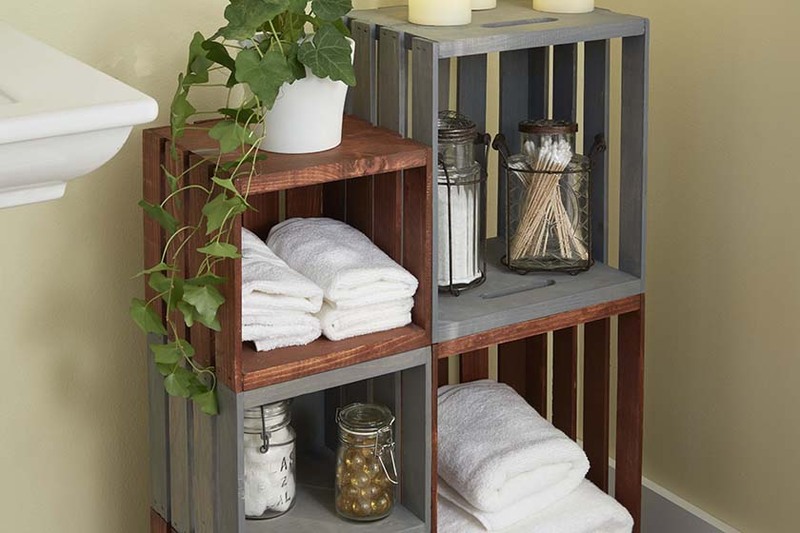 It’s the perfect piece for small homes with no room to spare for guests! The best thing about sleeper sofas? They’re compact and more affordable than a standard bed + sofa. We’ve already listed down our top 10 favorite sleeper sofas, have a peek here and choose the right piece that suits your home or style. A room divider is a fantastic home decor that lets you a create distinction between rooms in an open plan apartment. It works as a physical barrier that separates one room from the other. 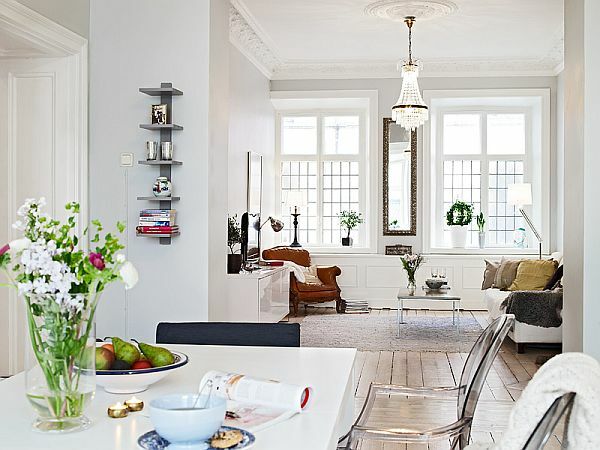 For instance, it could create separation between the living and dining area, as seen here. What’s more, these space dividers could also work as the anchor that pulls together the overall look of a space. Space dividers come in all shapes and sizes but if you’re space-strapped, go for the skinny kind that offers extra storage. 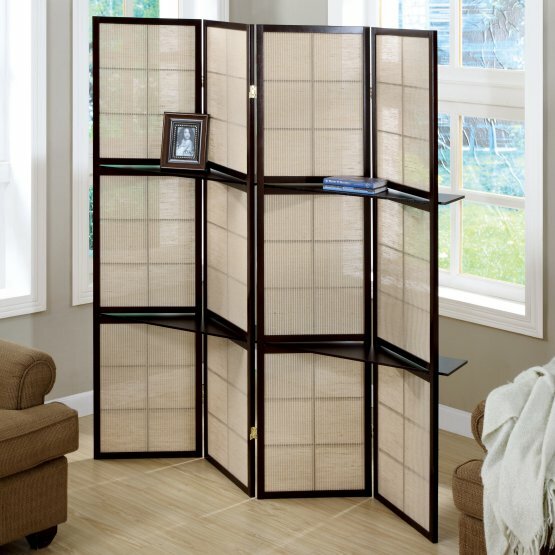 Hayneedle’s Cappuccino 4-Panel folding screen is a great divider if you’ve got no space for a robust room divider. Why spend money on space organizers when you can make one using those wooden crates you left gathering dust in the basement? If you’re free for the weekend, here’s an easy breeze tutorial to keep your hands busy. One of my favorite solutions to maximize awkward spaces is to install decorative hooks. With just a couple of hooks (or a hanging rail), you can transform a naked wall into an impromptu storage area for clothes, bags, etc. 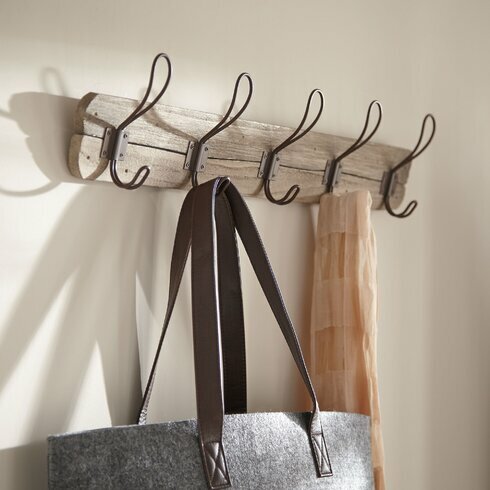 WayFair has an amazing selection of contemporary and vintage wall hooks/coat racks. There come in all sorts of style that will suit any interior design.